Community Energy Warwickshire was set up in late 2010, when it was officially registered as a community benefit society – a type of co-op. It was set up by people living in Warwickshire who want to reduce our dependence on fossil fuels and increase our use of sources of renewable energy – especially those which can make good use of the natural resources of our county. As a community benefit society, Community Energy Warwickshire is owned and directed by its members on the basis of “one member, one vote” so that its members, and people in Warwickshire as a whole, can benefit from local energy developments. Because it is owned and democratically controlled by its members, Community Energy Warwickshire can ensure that its work provides community benefits to local people and their communities. We have set up a charitable fund to support local energy reduction and fule poverty projects. In early 2012, Community Energy Warwickshire successfully raised over £100,000 for its solar-powered hospitals project – for which it was short-listed for the British Renewable Energy Association Awards. Since then, we’ve been looking at a range of other opportunities for generating renewable energy locally. We successfully completed a second share offer to raise funds for the second phase of our solar-powered hospitals project in the summer of 2014, and a new solar PV array started generating at Leamington Spa Hospital in June 2014. And in November 2015, we raised over £50,000 in just ten days in order to install more solar panels on a new ward building at Warwick Hospital. 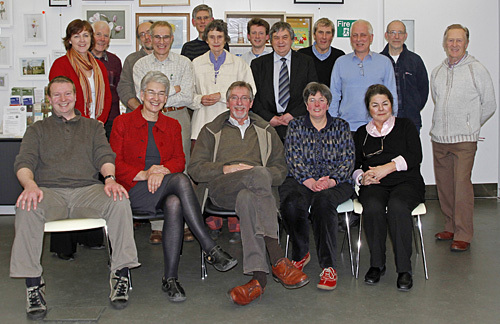 Community Energy Warwickshire is run by a Board of Directors – volunteers who oversee the running of the organization and undertake the work of developing and implementing projects. The Board has adopted an Equal Opportunities policy to ensure it acts fairly and openly at all times. Community Energy Warwickshire is registered with and regulated by the Financial Conduct Authority. This means it has a formally approved legal constitution and has to submit an Annual Report and Accounts to the FCA each year. Copies of these are available below.